AUSTIN — When looking to complete its wide receiver class, Texas looked at options in-state and targeted Melissa’s Kennedy Lewis. Today, the Longhorns earned the former TCU pledge’s commitment to join the #fUTure19 class on the eve of National Signing Day. The 6-foot-3, 205-pounder looks to be the ideal X receiver in Tom Herman’s power spread attack. 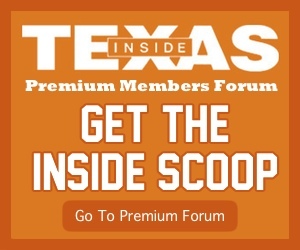 How he fits at Texas: Lewis is a big receiver of the sort that seem to grow on trees in the Metroplex. He’s got good size to win jump balls at the X but he’s at his best right now using good footwork, strength, and pure speed to beat coverage off the line and get open down the field rather than high pointing fades. 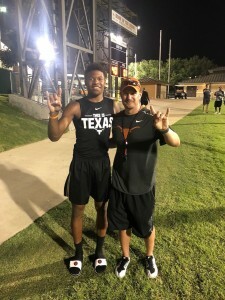 Lewis becomes the 22nd member of Texas’ 2019 class joining Caleb Johnson (Fullerton College – CA), Jacoby Jones (Butler CC – KS), Myron Warren (Many – LA), Marcus Washington (Trinity Catholic – MO), David Gbenda (Cinco Ranch), Tyler Owens (Plano East), Derrian Brown (Buford – GA), Javonne Shepherd (North Forest), Marcus Tillman (Jones – FL), Marques Caldwell (Alvin), Chris Adimora (Lakewood – CA), Peter Mpagi (George Ranch), Jake Smith (Notre Dame Prep – AZ), Jared Wiley (Temple), Tyler Johnson (Conroe Oak Ridge), Brayden Liebrock (Chandler – AZ), Kenyatta Watson II (Grayson – GA), De’Gabriel Floyd (Westlake – CA), Jordan Whittington (Cuero), T’Vondre Sweat (Huntsville), and Roschon Johnson (Port Neches-Groves).